The role of a Gamekeeper is that of a guardian to the land he is responsible for. Gamekeepers are responsible for the management of around 7.3 million hectares of land in the UK (that's roughly the size of Scotland) and they ensure the conservation of numerous indigenous species through their efforts. These actions are beneficial in providing a plentiful supply of game for the multi million pound sporting industry, but also creates a hospitable environment for flora and fauna to thrive. Gamekeepers work with police to assist in the prevention of rural crime and also educate school children about the importance of land management, conservation and ecology. Many shooting estates are actively contributing to conservation projects such as the reintroduction of red kites and the protection of species like the stone curlew and red squirrel. 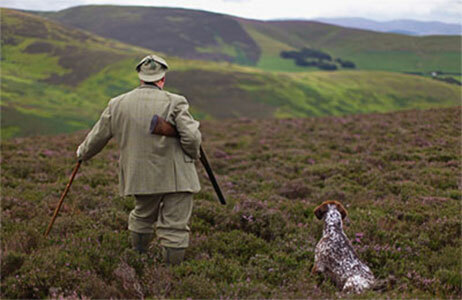 The Gamekeeper is employed by a country estate to manage the land and ensure a good supply of healthy game birds. In order to achieve this, the Gamekeeper must work very long hours, this isn't a standard 9 - 5 job and s/he will not retire for the day until the numerous tasks that their job involves are completed. Come the early days of summer, the Gamekeeper will count the number of birds he has on his land. This will be an estimated figure but is usually very accurate. These numbers help to predict how many days shooting will take place. Come the 12th of August (known as The Glorious 12th) the Gamekeeper's time is largely devoted to running the shoot days. S/he must ensure that there are enough people to work the shoot; beater, flankers, loaders and pickers up. He will then plan the drives according to the wind direction on the day. The role of Gamekeeper as we know it today first appeared in the wilds of Scotland around 200 years ago, during a period of great change in the highlands. Highland cattle gave way to the rise of the sport shooting estate. The purchase of the Balmoral estate, in 1848, by Queen Victoria and Prince Albert greatly popularised sport shooting in the Victorian era. This was surely the heyday of the Gamekeeper and the modern uniform dates back to this time. As the Gamekeeper will be working outside in all weathers year round, his clothing must be tough enough to stand up to the elements. Tweed is traditional as it is highly durable, warm and protects against rain. 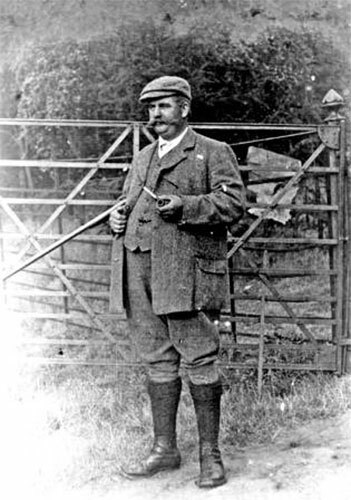 The classic image of the gamekeeper is in a tweed jacket and breeks. Whilst this look is still popular, the keeper may choose to reserve this attire for shoot days when he will need to present a smart, authoritative and formal appearance for the estates clients. For everyday use a modern, lightweight outer layer is a great option. A range of weatherproof, highly functional jackets are available to meet all budgets. At bestinthecountry.co.uk we stock some fantastic products from top endurance clothing brand, Musto. The Whisper is an extremely popular jacket which is available in mens and womens options. Utilising Gore-Tex it is extremely waterproof and durable and is designed to reduce material rustle, making it virtually silent. This jacket is at the higher end of the budget scale but it is a serious investment that will last for many years. The Keepers Jacket, also from Musto, is an ultra tough jacket that is weatherproof and durable enough for all aspects of shooting, with numerous practical features. The Musto Westmoor Jacket and Fenland Packaway are great options for a more casual jacket and both are fully waterproof with a host of practical features included. Breeks are the traditional legwear and when worn properly should form a watertight seal with the knee high shooting socks and boots. This look is ideal for shoot days when the keeper needs to dress to impress, but on other cold, wet days a pair over waterproof overtrousers will be a blessing! A quality, durable pair of boots will be a Gamekeepers best friend. Spending many hours on his feet everyday it is essential that his footwear is up to the task; comfortable, waterproof, cool in summer and insulating in winter. Again, there is a great deal of variety for every budget. The highest quality boots that we stock are Le Chameau. These are favoured for shooting as they are a quality, handcrafted product, guaranteed to last. The Jameson field Boot is a beautiful leather field sports boot boasting exceptional quality. Aigle, another very popular brand, have created the Parcours range of wellingtons that are specifically engineered for long hours spent walking in them. They are tough and exceptionally comfortable providing excellent grip. Finally we have the Muckboot range. Muckboot specialise in fieldsports boots and have created an incredibly durable, hardwearing range. Typically their boots have thick soles with deep lugs allowing good grip in very muddy conditions, reinforcement around the heel, sides and toe and offer a wide thermal comfort range.